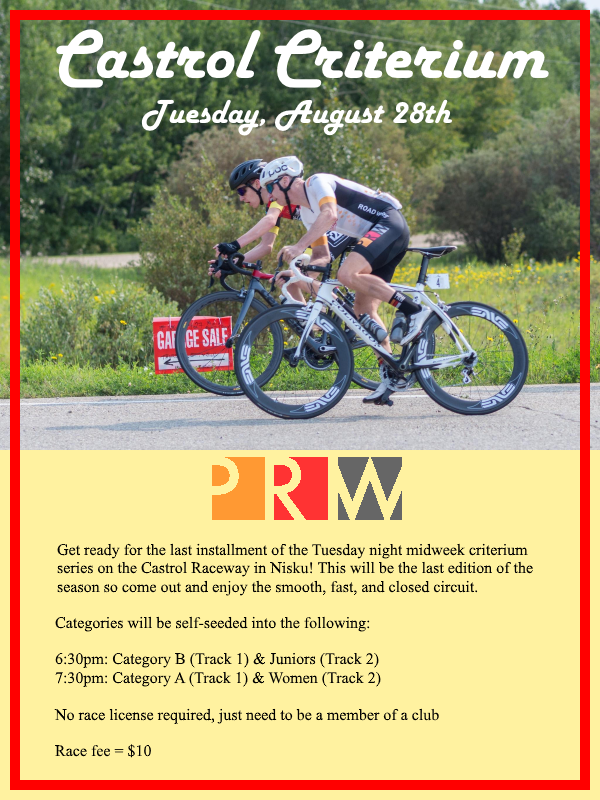 Pedalhead will be running the August 28 edition of the Castrol Raceway Criterium. Pedalhead has confirmation for Tuesday, August 28th. Racing will begin at 6:30pm because sunset is now about 8:50. Categories this month will be: Category A, Category B, Women and Juniors. Please also see the Facebook Event Page. There will be at least one volunteer to help out on each track, with time countdown and getting results. As these are training races and not official results-type races, we will make best-efforts to get top 3 placings. If riders can help out before or after your race, it would be greatly appreciated.